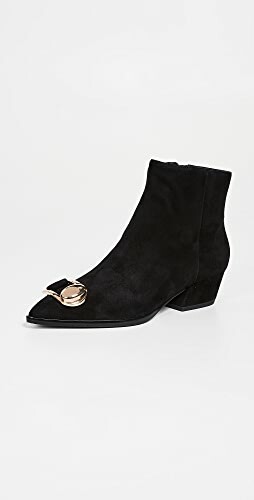 January can be a bit of a weird time to shop. 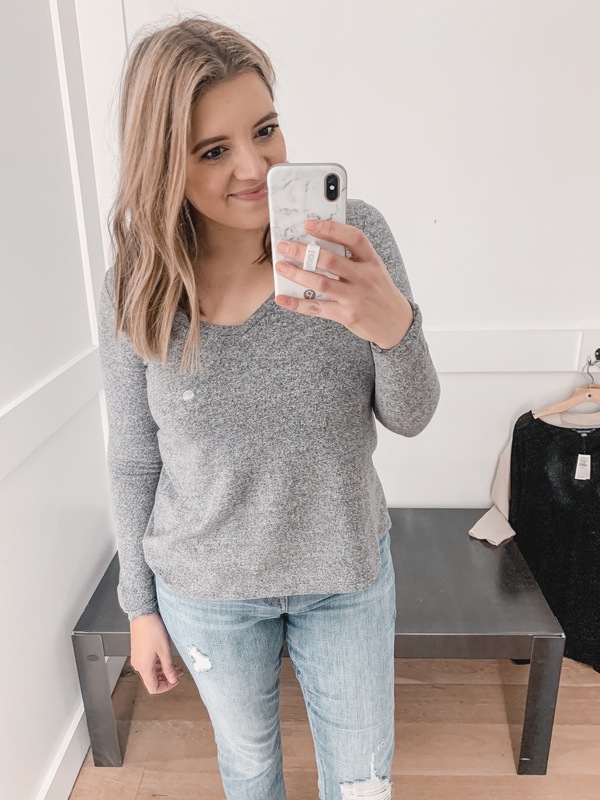 There are still lots of winter items while retailers area simultaneously releasing their spring styles. 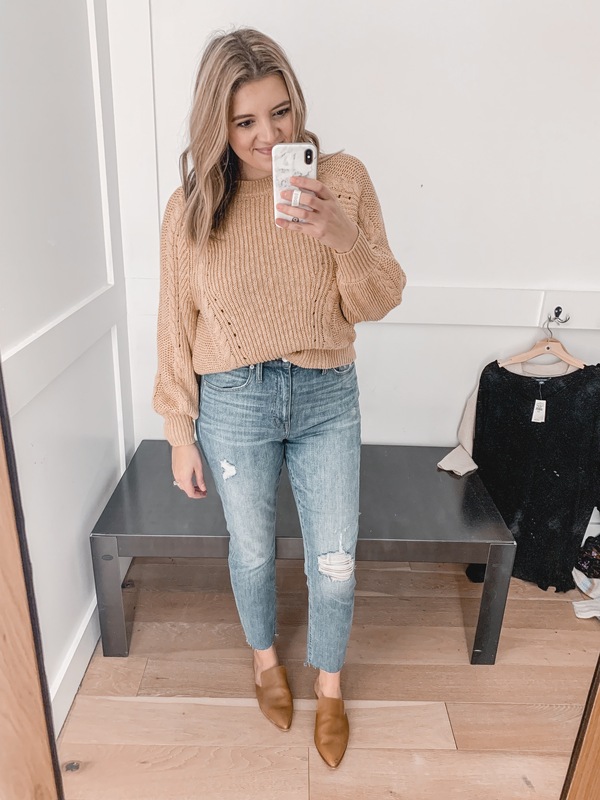 I tried to pick items that I could see working from now through spring when putting together these outfits! 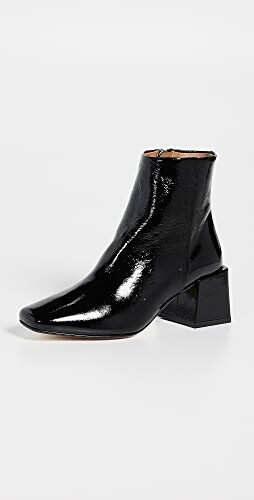 As far as sizing goes, I am 5’7.5″, and currently a size 29/8/M. 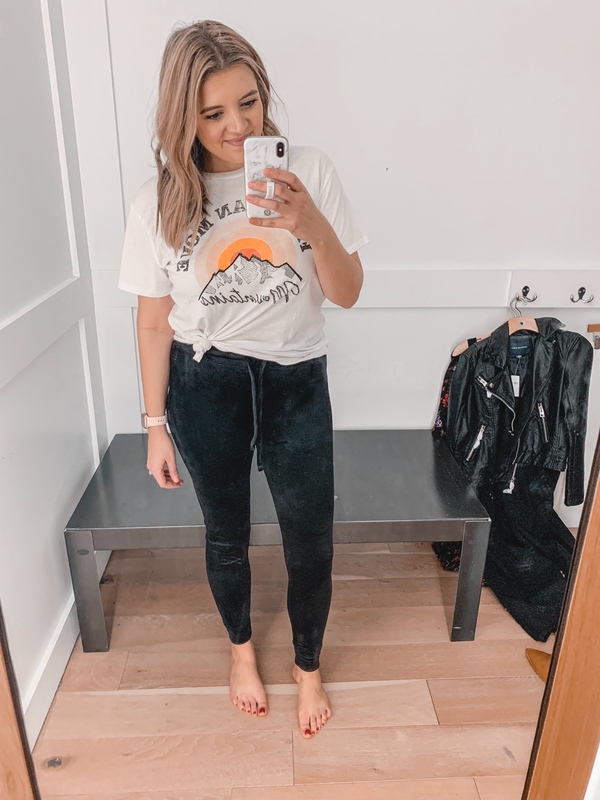 I tried almost everything in a medium, but I will list exactly what size I’m wearing beneath each photo! 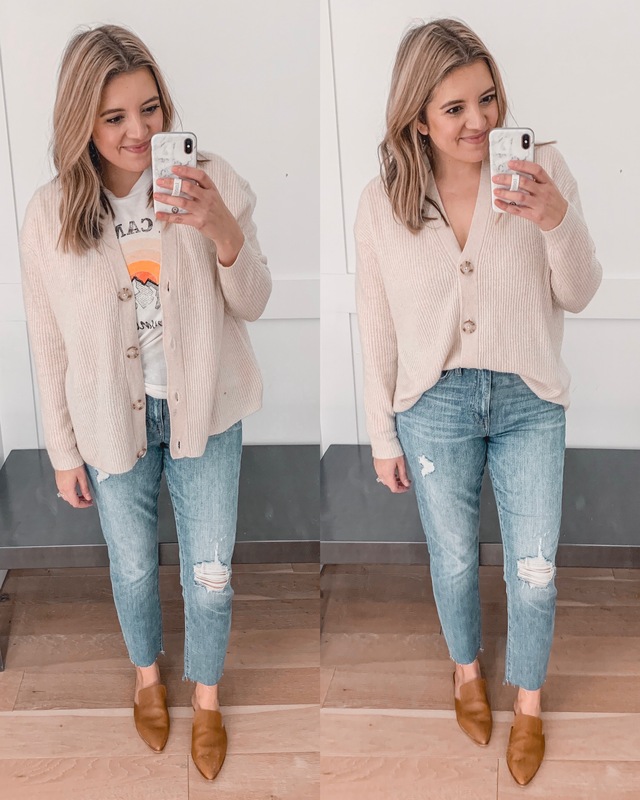 This cardi is a great into-spring option because of the weight and color (although it does come in three other colors)! Sizing, however, is very oversized. I grabbed a small and could have sized down one more. Definitely size down one to two in this, depending on how you’d like the fit to be! I loved how it could be worn both over tees, camis, or dresses. 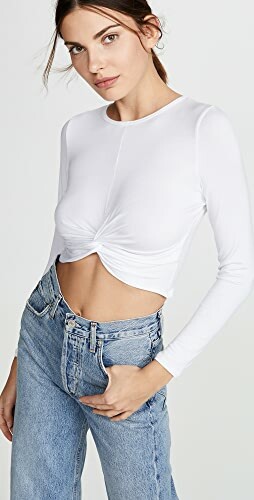 But you could also wear it buttoned as a top! With it buttoned, you could still layer with a lace trimmed camisole for a more feminine touch. 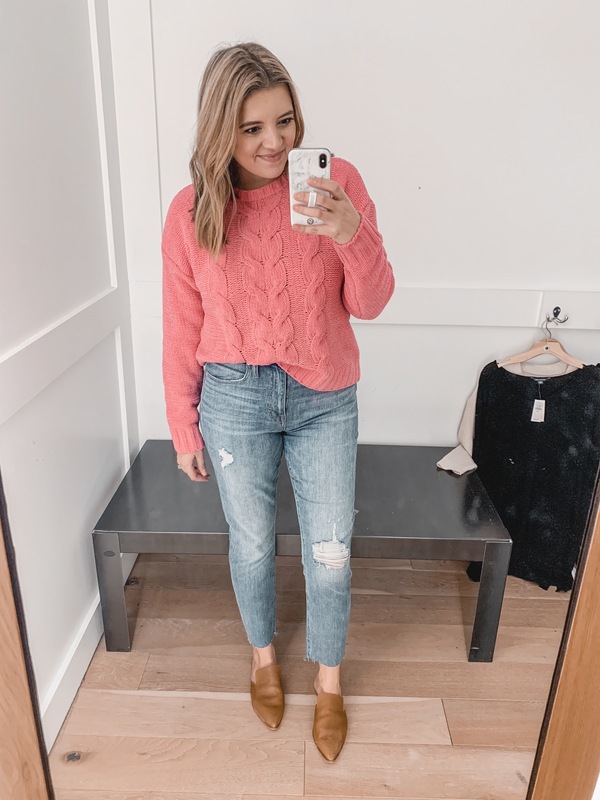 You might remember this sweater from my last AE try on! (I tried it on in cream last time!) But this hot pink caught my eye. I just love the color! The material is the softest. So if you’re really sensitive to itchier fabrics, you’ll fall in love with this one! 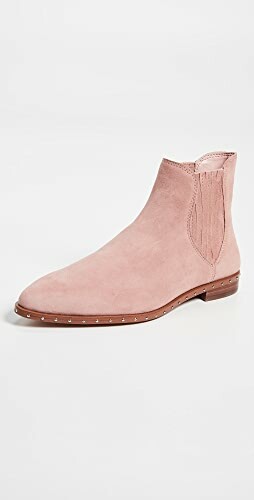 I’ll be wearing this from Valentine’s Day through spring! Bonus: it’s currently only $17! Fit is oversized, but I stayed with my true size medium. 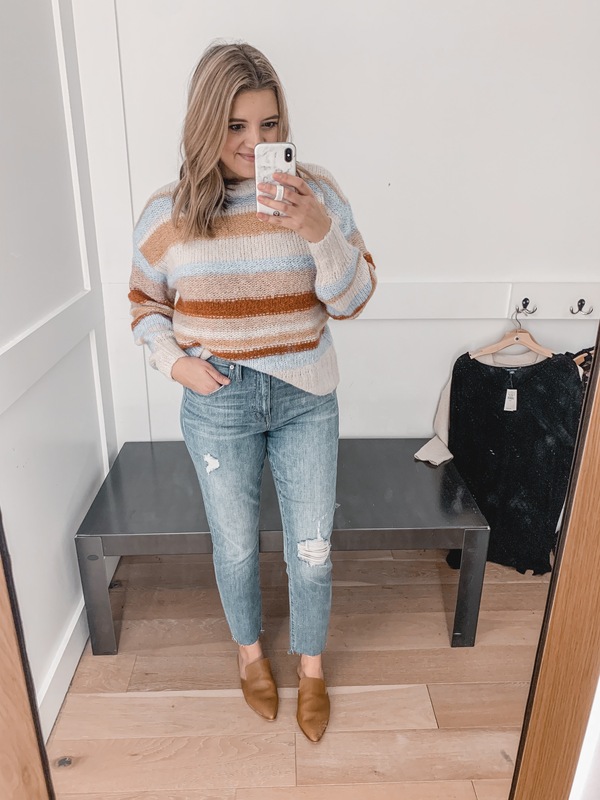 This is another great updated classic sweater! 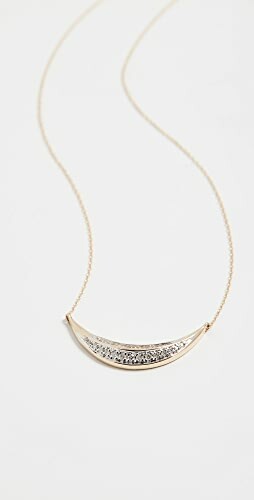 It’s also on sale for $17 and comes in four colors! This is the shade “dijon”. I thought it looked less yellow in person than it appears on the website! Fit is a bit oversized, but I’d recommend staying TTS! 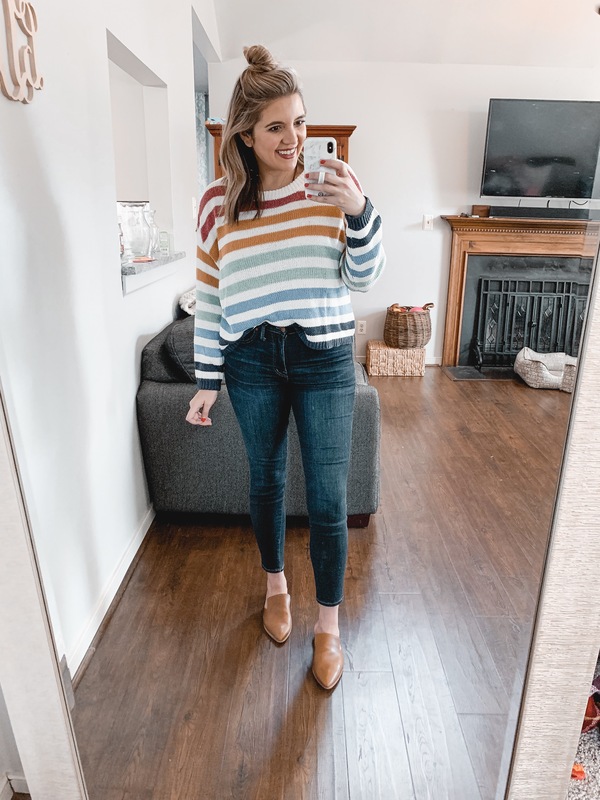 Y’all know I try to collect all the stripe sweaters– or at least try them on! I really did like the color scheme of this one with all of the neutrals. But it wasn’t my favorite on. I think the combination of the wide stripes, drop sleeves, and oversized fit were a bit too much for me. I would have preferred it in a small. Size down one! Do y’all remember the plush tees from Old Navy? These are that same super-soft fleece-y like material. My store was completely sold out of mediums in every color so I grabbed a small in the gray. I didn’t mind the fit of the size down, although it was definitely a little more snug in the arms. If you prefer a loser sleeve, stay TTS! 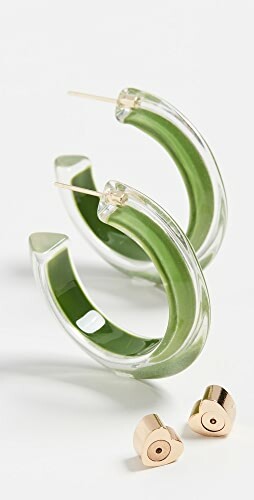 It comes in eight colors and is under $10!! 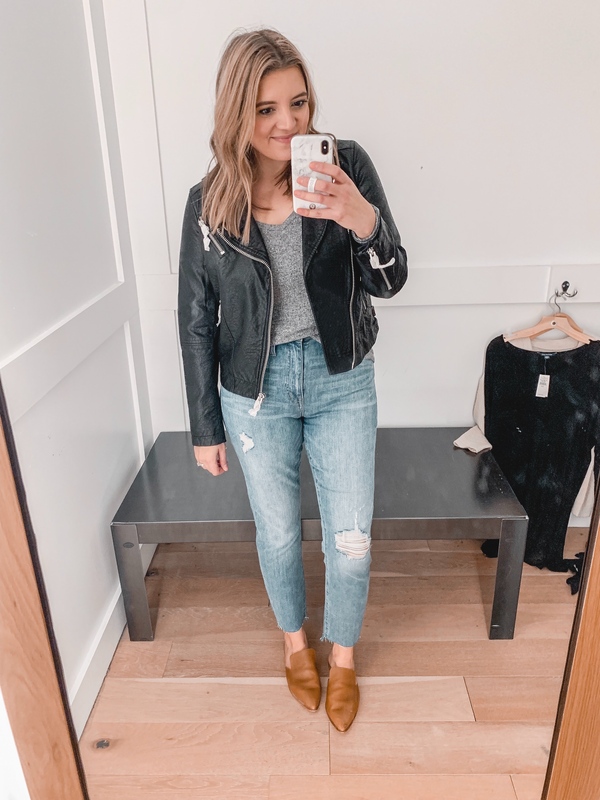 A moto jacket is a staple in my wardrobe, so I was excited to try AE’s version! 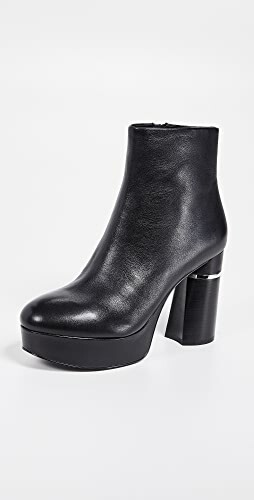 Y’all, I was seriously impressed with the quality of the faux leather! 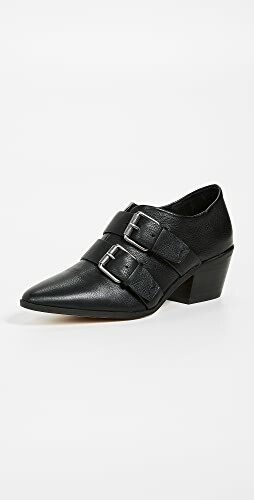 It reminded me a lot of my washed leather one from Madewell, but this is obviously a fraction of the price! 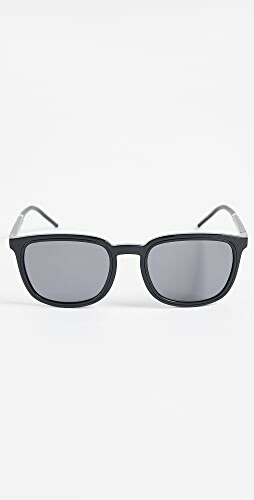 The only thing I will say about this one is that the hard wear is a brighter silver, so it stands out a bit more against the black. But, otherwise the style is so so similar! 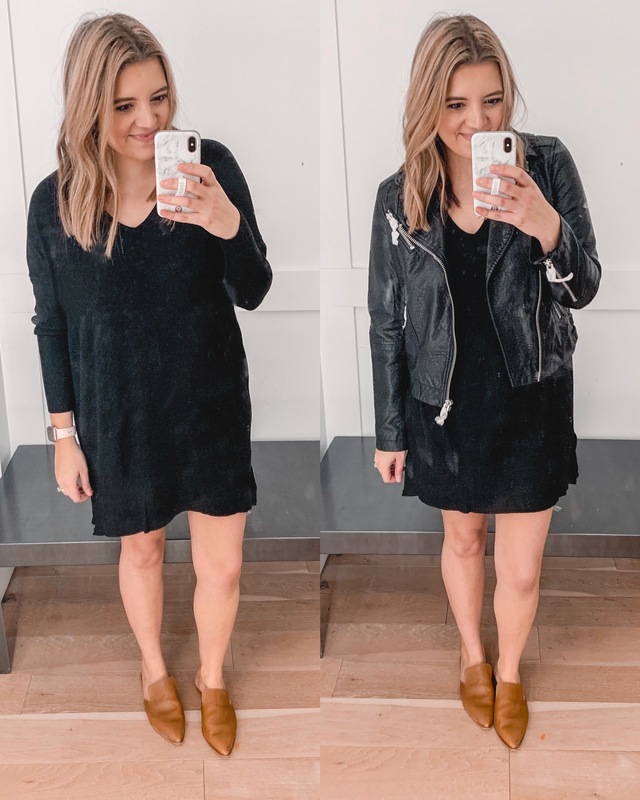 This dress is made of the same soft plush material as the gray long sleeve tee from above, making it so comfy! 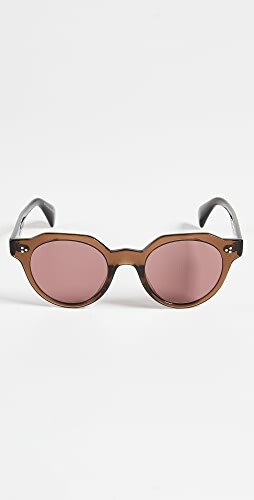 It comes in three colors, including gray and camel. Fit is oversized but it would work so well for a bump!! I’m in the medium. 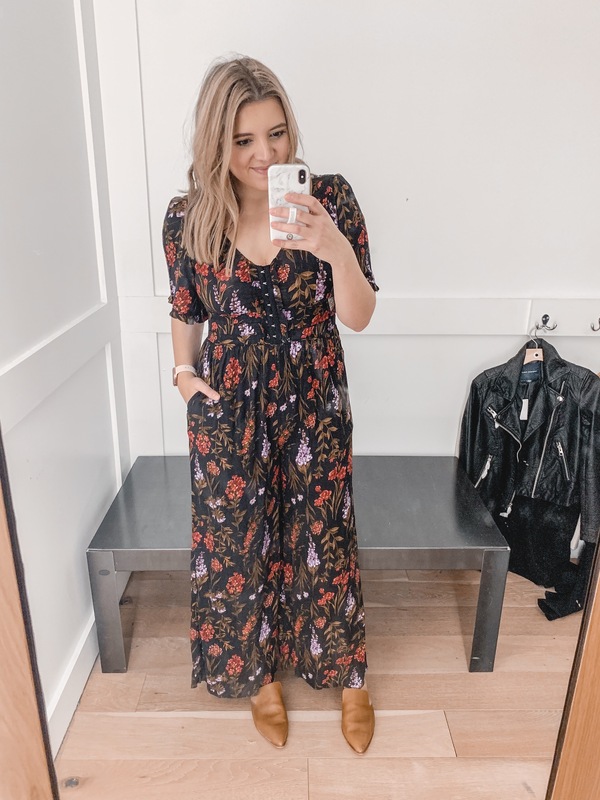 How cute is this jumpsuit?! I had to stop myself from buying it. If the hook and eye closure front was actually functioning (and nursing-friendly), it would have for sure come home with me. The back of the bodice is smocked for a nice fit through the bust. Also I love the tiny ruffle on the sleeves and the wide leg. Fit is TTS. I’m in an 8! 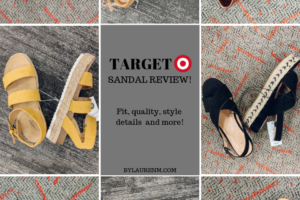 Scroll down to see me style it two ways! For spring you could wear it solo, but for now, layering it up works well! 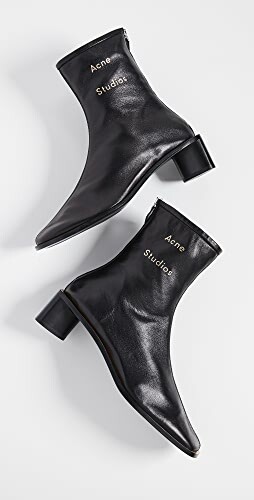 I love it paired both with the AE moto jacket and my long cardigan. 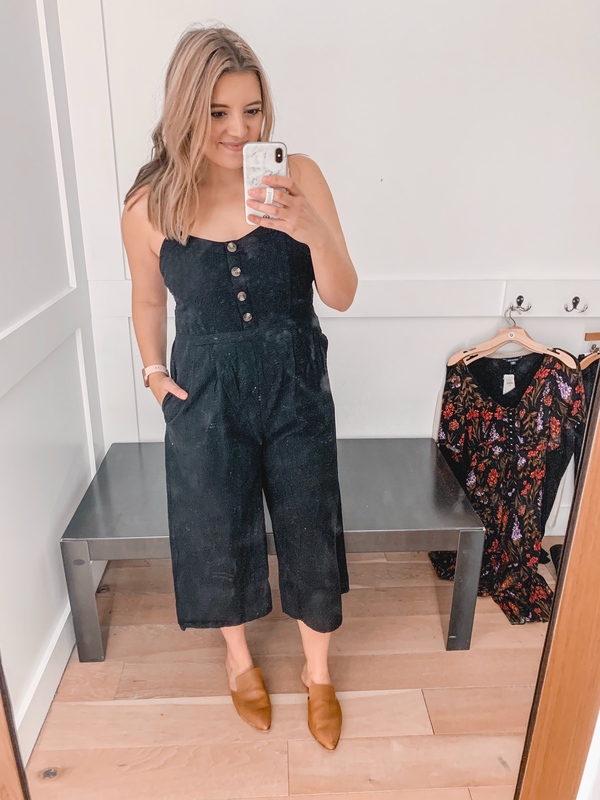 This jumpsuit is more suited for spring and summer! The material is a thick linen and the buttons are not functioning. The back is also smocked on this one. 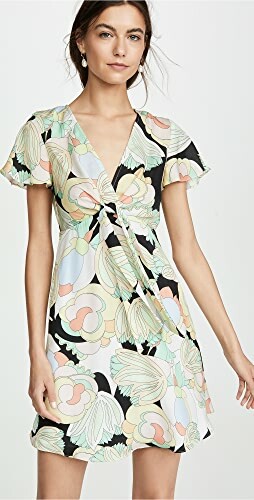 If you have somewhere warm to go in the near future, this would be so cute with sandals or wedges! Since the velour joggers I shared from my Amazon try-on sold out so quickly, I grabbed these to try! They are so so soft! 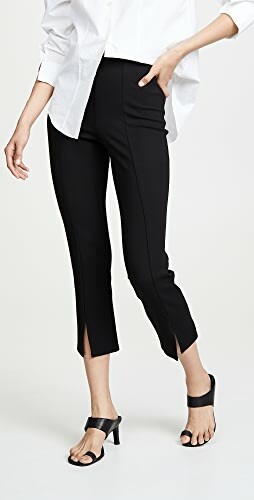 The main difference is that these are a true legging cut with no pockets! They’re a great lounge pant though! TTS. And since I recently placed an online order as well, here are a few pieces I tried on at home! 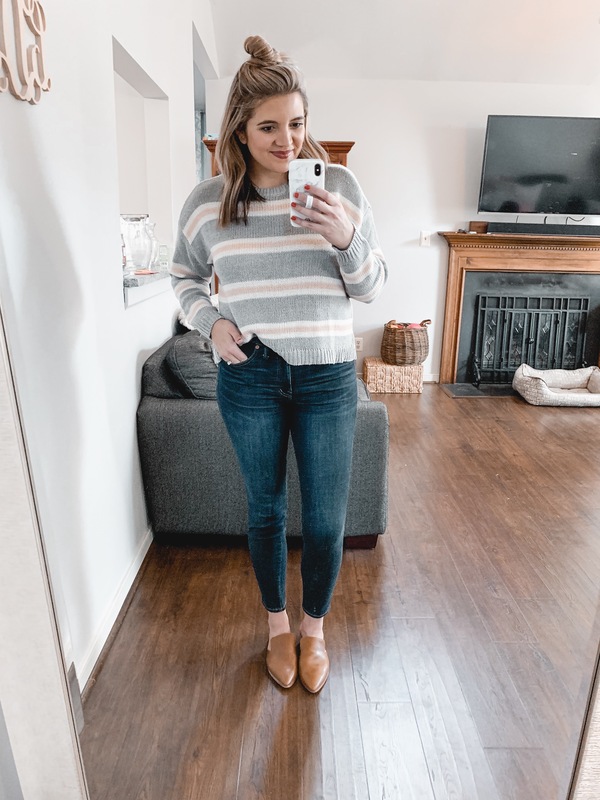 This is the cutest sweater for heading into spring! I loved the muted rainbow stripes and the lighter weight. Fit is a bit wide and boxy. 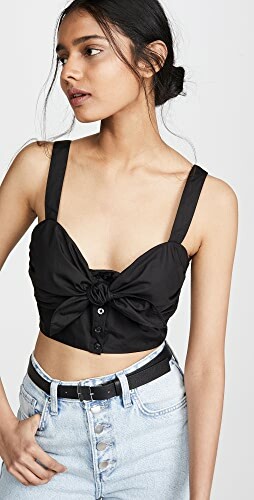 It’s definitely made for higher waisted jeans! 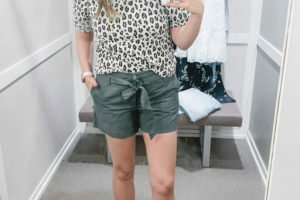 I’m in a medium and recommend sticking with your true size. I had assumed that this one was a little different from the rainbow version above because it was listed separately with three other stripe options. Buuuut, I’m pretty sure it’s identical! Fit, material, everything! I’m in a medium in this one too! 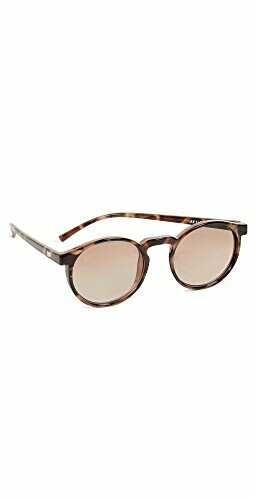 I’ve owned the gray version of these for over a year and love them! They are lined with a plush-like material, making them extra warm and soft. They have a drawstring waist and pockets as well! 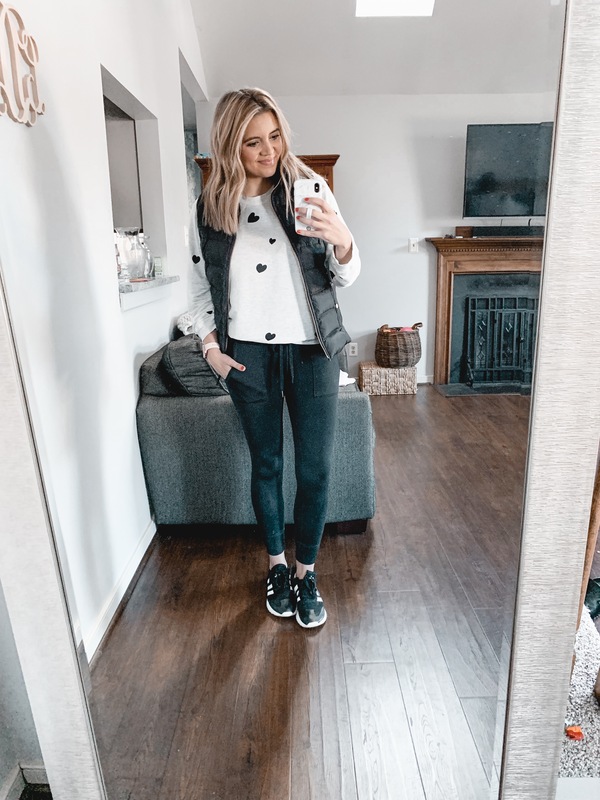 The fit is more like a cross between a legging and a jogger. TTS. You found so many great clothes! I love the pink jumper and the floral jumpsuit! I am loving AE right now and that floral jumpsuit is so cute. I saw a plaid one in the store the other day that I really want and should probably go back and get before they’re all gone! Thanks so much for the suggestions! I ordered 2 of the sweaters and love them!! Shop Short Sleeved Blouses, Citizens Of Humanity Skinny Jeans, Printed Pants, Tan Wedges Heels and more. Get this widget.